Public Policy Polling surveyed 600 North Carolinians by telephone between February 7-10, 2013. Forty-four percent (44%) of respondents identified themselves as conservative; 65% of those who called themselves “somewhat conservative” and 50% of those who self-identified as “very conservative” supported switching to life in prison without parole. North Carolina has not had an execution since 2006. 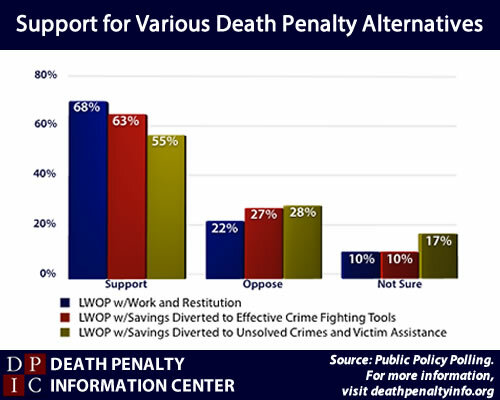 (H. White, "Poll: N.C. residents reject death penalty," Charlotte Post, March 4, 2013). See Public Opinion and Life Without Parole.